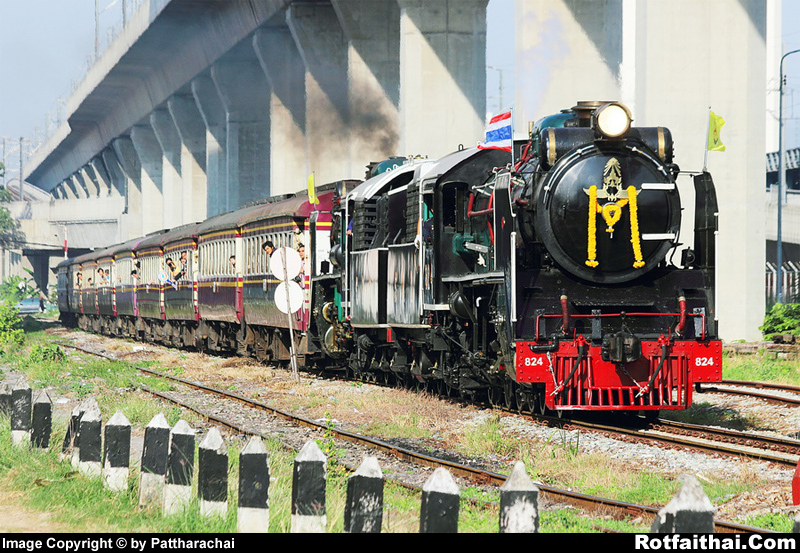 The Special train no.903 Bangkok- Chachoengsao Junction hauled by the steam locomotives "Pacific" no. 824 and 850. Taken at Khlongtan station, Bangkok on 05 December 2013 , H.M.the KIng's Birthday.